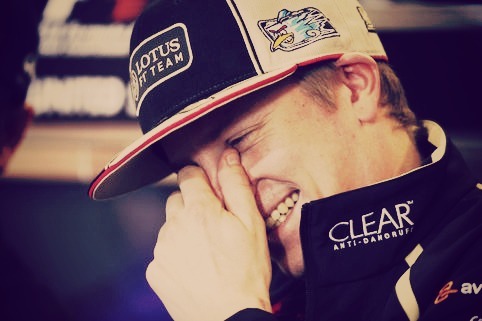 Kimi Raikkonen's Australian Grand Prix victory announced Lotus as a championship contender this year. 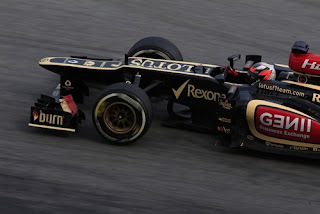 The team then slipped back in Malaysia, finishing only sixth and seventh, with Grosjean ahead. Lotus remains second in the constructors' championship, 26 points behind Red Bull, while Raikkonen is Sebastian Vettel's nearest rival in the drivers' table, nine points adrift. Asked if he was confident Lotus could stay in the title hunt, Grosjean said he was confident in the team's capabilities but unsure about its resources. "It depends on the money that we have. That is the key in F1," he said. "We know we have good people, we know they are able to do a race winning car, we know that on development and on factory tools we are there. Just seven days after starting the new Formula One season on a high with Kimi Raikkonen's superb victory in Australia, the tables turned on Sunday as Lotus found themselves some way off the pace. From sixth and eighth on the grid, Raikkonen and team-mate Romain Grosjean finished seventh and sixth respectively, 48 and 35 seconds adrift of controversial race winner Sebastian Vettel. 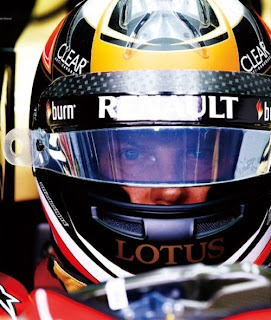 Ahead of the next two races in China and Bahrain on April 14 and 21, which will again be a contrast in conditions with the former cool and the latter hot, Boullier is expecting Lotus to be back at the front. "On Sunday it was not the best start we've ever made, and then after we lost a lot in the first stint compared to the leaders, especially Mercedes," said Boullier. "If you then compare the race pace after we were not bad, we were there, so our level of confidence going into the next two races is much, much higher and we're looking forward to racing there. "Of course, if there are special conditions it is always difficult, but if there are normal racing conditions then we will be back in the fight for the podium, and maybe the win." Despite Sunday's unexpected result, with the Lotus duo even behind the struggling McLaren of Jenson Button until he retired, Boullier is convinced his team are one of the frontrunners. 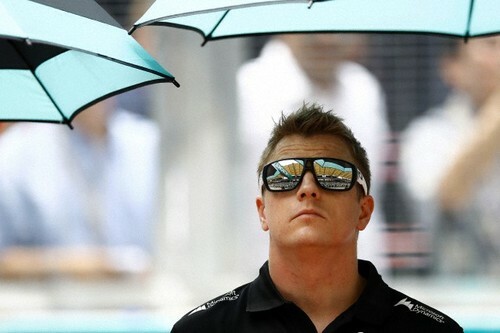 LOTUS have brushed aside their malaise in Malaysia by predicting Kimi Raikkonen will win again. 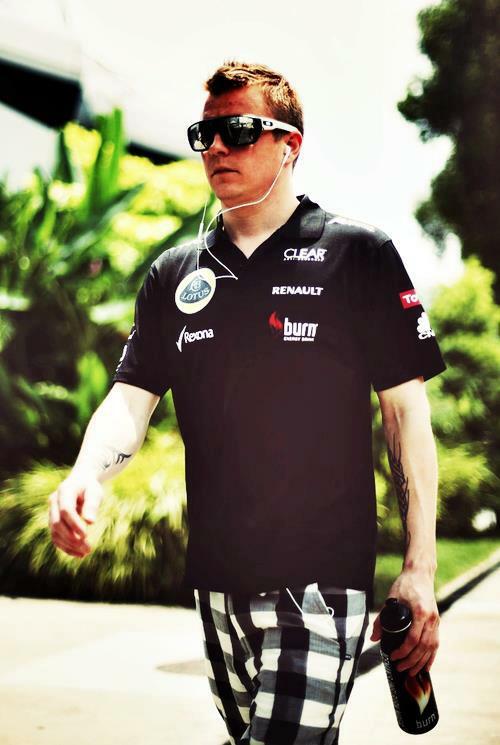 The Iceman could only finish seventh in Sepang just a week after scooping a shock victory in Australia. Cynics immediately muttered that Raikkonen’s Melbourne triumph could be a one-hit wonder thanks to his car’s freakish lack of tyre wear. But Lotus chief Eric Boullier begged to differ. He said that after making a poor start in Malaysia, the pace of Raikkonen and team-mate Romain Grosjean, who finished sixth, was “not bad”. 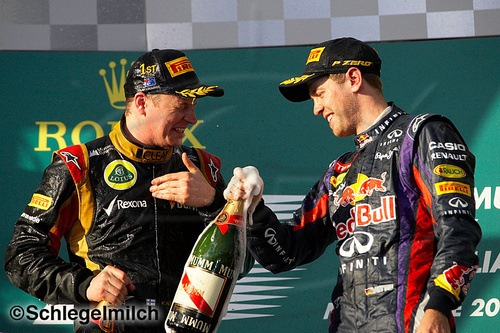 He added: “We were there, so our level of confidence going into the next two races is much, much higher. why he missed out on a podium place in Sunday’s Malaysian Grand Prix. The Finn, who won last week’s Australian Grand Prix, had to give best to his teammate Romain Grosjean, who finished one spot ahead of him in sixth place. The results placed the Enstone-based team second behind Red Bull in the Constructors Championship. “Although the car felt very good on Friday, yesterday and today have been pretty difficult,” he said after the race. “Since Saturday morning it has not been behaving as we expected for some reason, especially in the wet where we really struggled for grip. Kimi Raikkonen has admitted his Lotus just didn't perform as expected in Malaysia, although he is hopeful they can get back to the front again, providing they can 'get the car back to how it was in Australia' where he won. 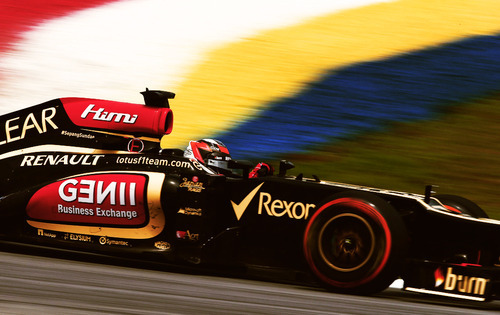 Raikkonen began the weekend at the Sepang International Circuit in fine form and was quickest in Friday practice. 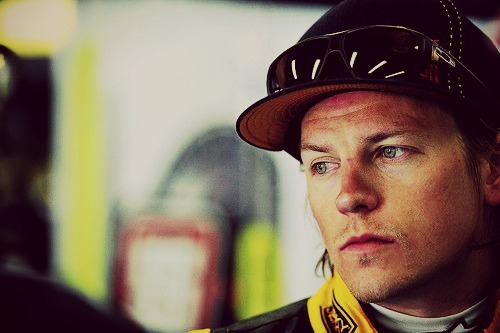 However after that he struggled and in qualifying could do no better than seventh. He then found himself demoted to tenth on the grid, after he was judged to have impeded Nico Rosberg in Q3, and combined with a tardy start, had his work cut out to get a decent result. 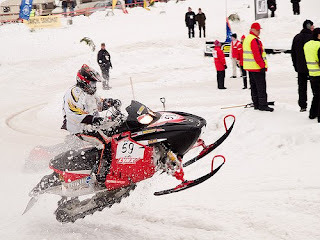 Although he did manage to score and took seventh to keep his run of consecutive points finishes intact, the race was a real contrast to that just seven days earlier. “Although the car felt very good on Friday, yesterday and today have been pretty difficult,” Raikkonen admitted. “Since Saturday morning it has not been behaving as we expected for some reason, especially in the wet where we really struggled for grip. “It was a tough race and I lost part of my front wing at the start which didn't help, but at least we scored a few points which is better than coming away with nothing. Lotus Renault boss Eric Boullier has admitted that he was not surprised that his team struggled in the Malaysian Grand Prix at the weekend. Kimi Raikkonen triumphed in the season opener in Australia, but the Finn and Romain Grosjean both finished more than half a minute off the pace on Sunday. "It is a prediction we had after the winter testing. It is going to be very, very tight. I think you can expect, mainly because of the tyre management situation, a different race winner each time," Boullier told AutoSport. The Chinese Grand Prix takes place next month. Boullier thinks that the difficulties Raikkonen and Grosjean had in extracting speed from the car in wet conditions - allied to time lost working their way back up the order – were the main factors behind its failure to finish on the podium at Sepang. With the wet start and qualifying hampering the iconic Norfolk marque more than most on the grid, Lotus had to settle for Raikkonen coming home seventh after a long-term battle with his E21 in Sunday’s Malaysia Grand Prix. 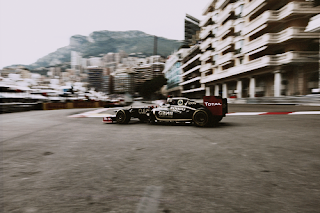 More eyecatching was Romain Grosjean performance, which saw the Frenchman come home sixth. “It’s not been the best day for us, but when you take into account our qualifying positions and the difficult start for both drivers I think the points we take for sixth and seventh is a solid result,” said Boullier, with Kimi starting 10th after taking a three-place grid penalty and Grosjean 11th. Lotus again stood head and shoulders above the other Oxfordshire teams in Malaysian Grand Prix with two drivers in the top sevenbehind winner Sebastian Vettel. 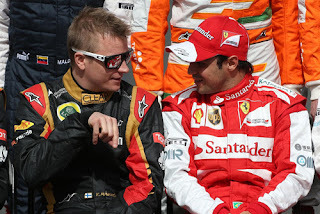 This time, Kimi Raikkonen, winner of last week’s Australian Grand Prix had to give best to his teammate Romain Grosjean, who finished one spot ahead of him in sixth place. These results placed the Enstone-based team second behind Red Bull in the Constructors Championship. Grosjean said: “I think we can be quite happy with the result. “It was a tough race, starting wet and finishing dry, but that’s what you expect in Malaysia. “I spent a lot of time stuck behind Felipe Massa in the middle phase of the race and I’m sure if I could have passed him earlier then I would have stayed ahead. Kimi Raikkonen's victory in the season-opening Australian Grand Prix has made the Lotus team eager to secure his services beyond the end of the year. The Finn came from seventh on the grid to win in Melbourne, making a two-stop strategy work in his favour, and team owner Gerard Lopez admits that he is keen to ensure that the 2007 world champion is racing in black-and-gold next season. However, the Genii Capital CEO also admits that timing talks with his team leader might be key to their success. 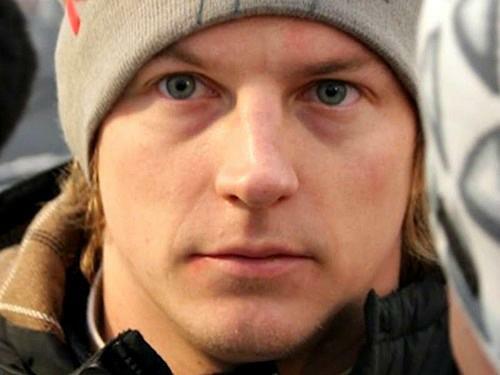 There was a time during last season, however, when Raikkonen's presence in 2013 was in doubt. 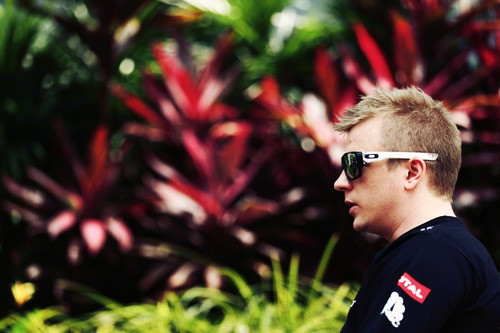 Despite being in the first year of his return from rallying, the Finn refused to be drawn on whether he would stick around for another campaign, although his performance – including victory in the Abu Dhabi Grand Prix – ultimately triggered clauses in his contract, as well as providing a useful financial bonus as his 207 points reportedly earned him millions of dollars over and above his retainer. Ironically, Lopez admitted towards the end of last season that the 'unexpected' extra payment had caused a problem for the team, and a minor rift with his driver when it was delayed, but insists that all is well between them now. Kimi Raikkonen will start Sunday's Malaysian GP from 10th place on the grid after he was penalised for impeding another driver. Contending with the rain that meant the cars were kicking up some serious spray behind them, Raikkonen reportedly baulked Nico Rosberg. The Australian GP winner went on to qualify in seventh place while Rosberg put his Mercedes up to sixth. However, after qualifying Raikkonen was summoned to the stewards were he was handed a three-place grid penalty for impeding the German. 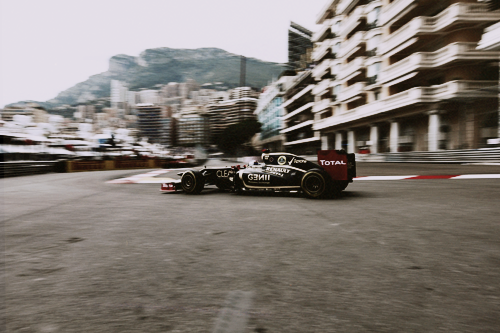 The Lotus driver will therefore begin round two of the Championship from 10th place on the grid. Kimi Raikkonen is showing his season opening victory in Australia is no fluke after posting the fastest time in the second practice at the Malaysian Grand Prix on Friday. The Finn was the surprise winner of the Australian Grand Prix last weekend and has won two of the last three races dating to last year. His Lotus was expected to be competitive with the betterfunded Red Bulls and Ferraris but not outpace them as he has done so far. The unflappable Raikkonen edged world champion Sebastian Vettel of Red Bull by .019 seconds. Ferrari’s Felipe Massa and Fernando Alonso were third and fourth followed by Vettel’s teammate, Mark Webber, who was fastest in the first practice session. It was another disappointing day for McLaren, which has struggled since revamping its race car in the offseason. Sergio Perez, who joined McLaren from Sauber, was 11th followed by 2009 champ Jenson Button in 12th. Kimi Raikkonen is showing his season-opening victory in Australia is no fluke after posting the fastest time in the second practice at the Malaysian Grand Prix on Friday - and qualifying yesterday only behind surprise flier Adrian Sutil, the German driver heading the Indian Force challenge. Nico Rosberg qualified third and Ferrari's Fernando Alonso fourth, with defending world champion Sebastian Vettel back in 15th place. Sutil sensationally fell out with British driver and former world champion Lewis Hamilton after Hamilton failed to attend a court case 13 months ago in support of the German. The two were best mates until Sutil was dragged into the dock and charged with causing grievous bodily harm after assaulting Renault executive Eric Lux. The incident happened in a Shanghai nightclub in 2011 just hours after Hamilton won the Chinese Grand Prix. But when the case came to court, Hamilton was unavailable to testify - a decision that left the 30-year-old furious and he later branded Hamilton "a coward". Sepang, Malaysia: Kimi Raikkonen set the seventh fastest time in a rain affected qualifying session for tomorrow’s Malaysian Grand Prix at Sepang. The Finn will however start from tenth after receiving a three place grid penalty for blocking Mercedes driver Nico Rosberg. Romain Grosjean placed eleventh after the rain scuppered his Q2 lap on new tyres; forcing him to abort his final attempt. After coming off a huge success in the previous race in Australia a week ago, Kimi Raikkonen continued his good fortune by setting the fastest time of the day during second practice Friday for the Grand Prix of Malaysia at the Sepang International circuit. The Finn recorded a 1:36:589 in a session that was temporarily delayed by a brief rain shower that made some drivers switch to intermediates before the skies cleared up and dried the track enough to go back to slicks. The Lotus driver was excellent in both sessions, just missing the best time in the opening session early that morning to Mark Webber, who accomplished a 1:36:935 to just edge the Finn. 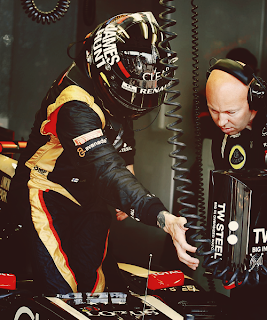 Raikkonen himself had to endure a rough sixty opening minutes in the first session due to a KERS problem that involved his battery malfunctioning, which had to be replaced. Raikkonen came back out and set a 1:37:003 fast lap to prove that he had not lost any of his spark. 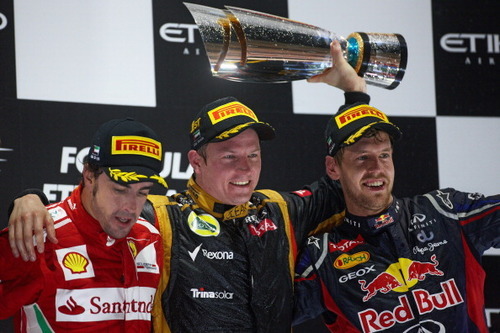 Sebastian Vettel and Fernando Alonso were also in the hunt, finishing third and fourth, respectively. The second session had much more action than the first, mainly because of the rain that took place midway through that period. Lotus' Kimi Raikkonen will start the Malaysian Grand Prix from 10th position after he was given a three-place penalty. Raikkonen was called to the stewards' office after the race, and they confirmed the Finn was punished for impeding Nico Rosberg during the third and final round of qualifying. McLaren pair Jenson Button and Sergio Perez will move to seventh and ninth respectively with Force India's Adrian Sutil taking eighth place on the grid. The Finn had a dream start to the season with a win last week in Melbourne, but the warmer conditions in Malaysia have proved to be more than tricky for the former McLaren driver. Raikkonen said he was disappointed to lose the places, but remained positive of his chances of pushing up the grid. Masterful tyre management in a surprisingly quick Lotus put the colourful Finn top of the podium in Melbourne, with Ferrari’s Fernando Alonso second and Sebastian Vettel, gunning for his fourth straight world title, third. “Finntastic” trumpeted Australian press, and “Finn puts party back into Formula 1”, as media welcomed a challenge to the accepted order at the start of the new season. Three championships in three years have already placed Red Bull’s German pilot Vettel, 25, among the sport’s greats, but the return of the party-loving Raikkonen – who owns a luxury seafront home at Serenity Terraces in Phuket’s Rawai area – has proved invigorating. And after rain storms wiped out Saturday qualifying in Australia, teams will be braced for another tough weekend at Malaysia’s Sepang circuit, where tropical downpours played havoc last year and in 2009. A year ago, Raikkonen marked his return to Malaysia after a two-year stint in rallying by handing out ice-creams, a nod to an episode on his previous visit in 2009, when he coolly snacked on a Magnum during a rain delay. The 33-year-old has twice been a winner on the long straights and tight hairpins of the Sepang circuit, built on former palm plantations near the Malaysian capital, but has also failed to finish four times and was fifth last year. His ability to maintain Pirelli’s new, deliberately fast-wearing tyres was critical in Melbourne, but he will face an entirely different test in Malaysia’s heat, humidity and possible rain come race day Sunday. 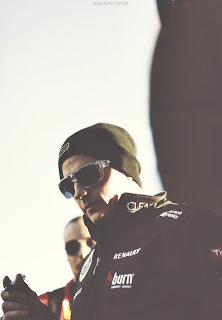 The ‘Iceman’ he may be but Kimi Raikkonen appeared to lose patience with the press after he was repeatedly asked the same question in different ways yesterday. The 2007 world champion, popular the world over for his detached demeanour and monosyllabic answers, is also known for his dislike of the press and all the other promotional activities that go hand-in-hand with being a modern Formula One driver. That disdain for the press was on full display yesterday after the practice runs. Many expect tyres to be the deciding factor come Sunday’s race and naturally all gathered journalists wanted to know how Raikkonen — who cruised to victory at last weekend’s season-opener as his car’s ability to look after its tyres allowed him to run a two-stop strategy — thought they behaved in the Malaysian heat. The Finn explained how he hadn’t been able to do long runs in practice due to an issue with his Kinetic Energy Recovery System (KERS) in the morning and rain in the afternoon so he had no idea how the tyres would hold up on Sunday. 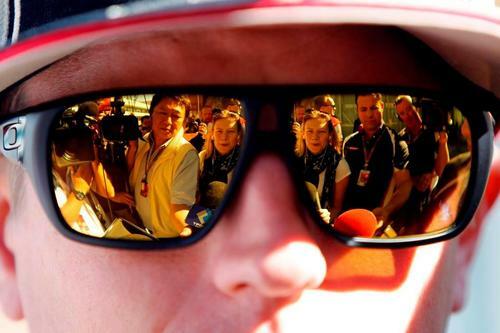 Last weekend, Kimi Raikkonen kicked off his 2013 season with a bang and a victory in the Australian Grand Prix. His speed and dominance just came with him on the trip to Malaysia. 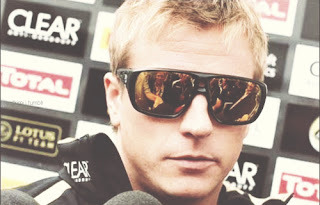 Raikkonen laid down the fastest speed in the second practice session. He out sped Sebastian Vettel by just a few hundredths of a second. The second practice session saw mostly overcast conditions and even had a brief rain shower come through the track area. It left the teams scrambling for a strategy just for a practice session. Most teams pulled out their intermediate tires, but a few teams ran on the full rain tires. While Red Bull, Lotus and Ferrari continue to show their strength early this season, McLaren’s frustrations continue to build up. Both Sergio Perez and Jenson Button were eleventh and twelfth in the second practice perspectively. 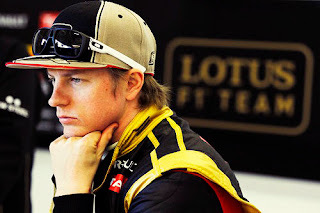 Kimi Raikkonen says the ongoing development of the new E21 will be key in deciding how successful Lotus can be during the 2013 season on the back of his victory in Australia. The Finn secured an impressive success in Melbourne for his second win since returning to the sport, making a two-stop strategy work to perfection as he beat Fernando Alonso and Sebastian Vettel to the top step of the podium. 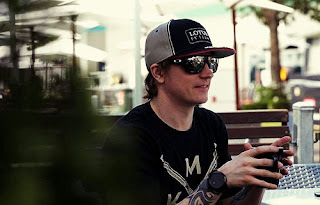 Lotus will hope that Raikkonen's win is the catalyst for a championship challenge during the year ahead, although the former champion admitted it would be a challenge for the team to keep pace with its rivals as the season goes on and the development battle hots up. “There was a big question mark last year over whether our team could keep up with the development of the bigger teams and I don't think we did a bad job,” he said. “Of course it's not going to be easy for us. I'm sure we have the people and all the tools to make it happen. Budget is always a factor and it's no secret that we don't have the same money as Ferrari, Red Bull or Mercedes. If we did have more sponsors I'm sure we'd have a better chance in the battle against those teams. In a season in which tyre management is expected to play a crucial role, Kimi Raikkonen and Lotus stole a march on the opposition with a faultless two-stop race in Australia. But whilst the emphatic nature of the Finn's victory has led many to label him as championship favourite, the 33-year-old is resolutely refusing to get carried away. 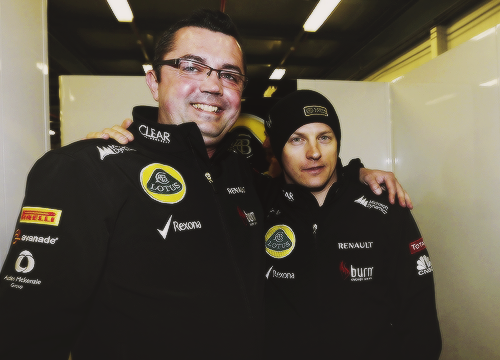 “It feels good but it’s only after one race,” said Raikkonen. 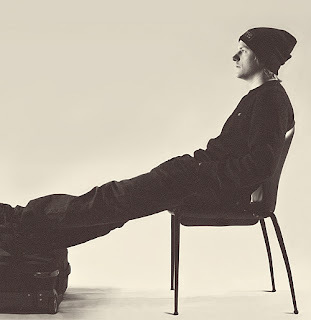 “It doesn’t really change our aim and how we approach this year. Conditions in Australia were unusually cold and damp, but conditions for round two of the championship in Malaysia are expected to be hot and humid. The Sepang circuit is also considerably different to the Albert Park track, with numerous high-speed corners that will place different demands on both car and tyres. Therefore, as Lotus’s technical director James Allison explained, it’s not a forgone conclusion that the team will perform as strongly in Malaysia. “Kimi was full of praise for his car on Sunday night and both drivers showed decent pace at various points in the weekend, but I think if you look at Romain’s (Grosjean) post-race comments it shows how marginal these things can be,” he said. 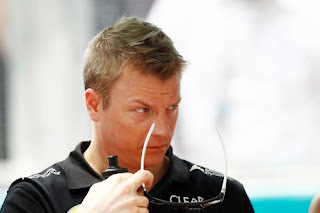 Lotus driver Kimi Raikkonen has played down any sort of advantage his win at the season-opening Australian GP gave him as he warned against drawing conclusions over the title race, according to espnf1. 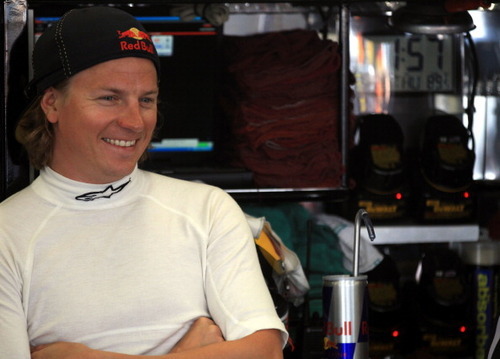 Raikkonen registered an emphatic win in Melbourne on Sunday, passing the finish line over 10 seconds clear of the rest. 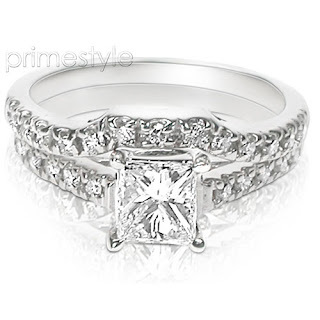 But despite a strong start, the 33-year-old said there was a long way to go before a reasonable assumption could be made. “It feels good but it’s only after one race,” he said. “It doesn’t really change our aim and how we approach this year. Raikkonen was hopeful of a good performance in the humid heat of Malaysia as drivers gear up for the second race this weekend. Kimi Raikkonen proved he and Lotus have what it takes this year to become Formula 1 world champions after storming to victory in the season-opening Australian Grand Prix. 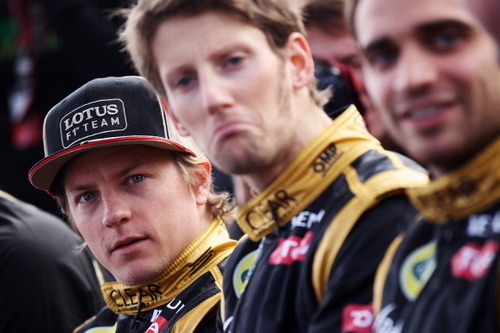 The Enstone-based team suggested during winter testing they had taken a step forward from last season. And they underlined that around Melbourne’s Albert Park as Raikkonen took the chequered flag for the 20th time in his F1 career. The 2007 world champion was joined by two-times title winner Fernando Alonso and reigning three-times king Sebastian Vettel on the podium. Raikkonen had started from seventh on the grid after the second and third qualifying sessions had been held over until Sunday due to adverse weather on Saturday. 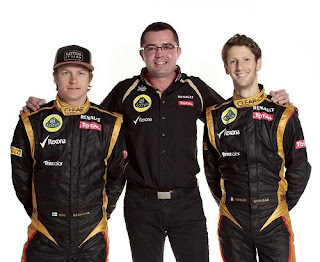 Lotus team boss Eric Boullier concedes that the team didn’t expect to be in a position to win in Australia. The car had looked good in testing, but a compromised qualifying session appeared to have cost Kimi Raikkonen any shot at victory. “We weren’t expecting a win,” Boullier told SPEED.com. 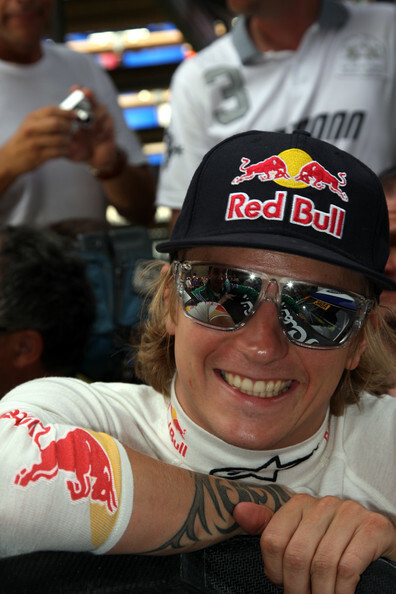 “We were pretty confident that we could fight for the podium, but to win is great. At least it’s done now, not like last year – when do you win, when do you win? Now we can concentrate on the championship. Boullier says that while Raikkonen’s rise from seventh was impressive, his grid position was not representative, and it would be wrong to draw any conclusions about the car’s merits over one lap. 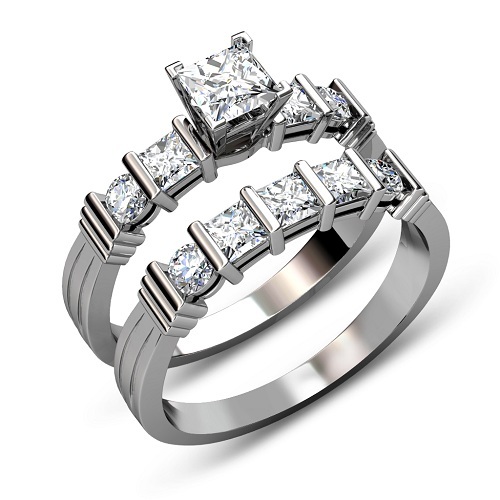 “We were not in the right position on the grid,” Boullier said. “We could have qualified higher on the grid, definitely, but we did small mistakes in the qualy, not enough track time, let’s say, to exploit the tires, but it doesn’t matter because in the end we could recover in the race. Lotus team principal Eric Boullier has once again hailed the environment at Enstone, saying it is playing a major role in Kimi Raikkonen's performances. Raikkonen made a successful comeback to F1 last year as he won the Abu Dhabi Grand Prix and finished third in the Drivers' Championship. 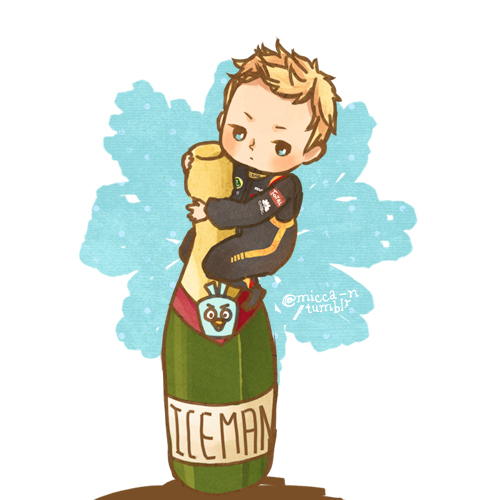 He carried that form over to this season as he came from seventh on the grid to win the opening race in Australia. Boullier believes the laidback Finn is benefitting from the relaxed vibe at the squad. "Well he's smiling more! Kimi is Kimi, he builds himself up - he had a strong season last year and he ended it even more strongly than he started," he is quoted as saying on the official Formula 1 website. "He's starting this season as he finished it last year, so he will keep building on that. 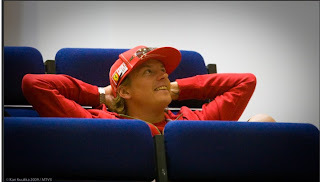 "I don't think there is anyone on earth who can tell Kimi what to do, so I'm not going to start! "It's true that the environment we have in Enstone is different and we encourage everyone to be creative and to be themselves - and that seems much better for everyone. 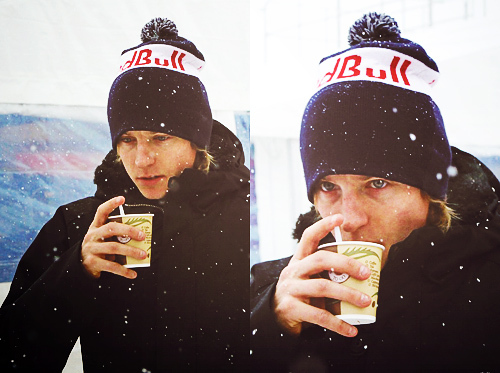 For Kimi we do this as much as possible by limiting what he hates." Former world champion Kimi Raikkonen Thursday said he was saving his celebrations for the end of the year despite last week's brilliant win in Australia. 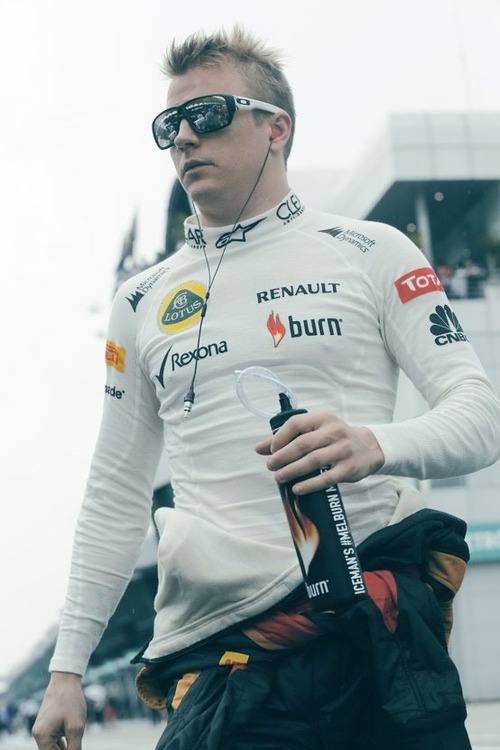 The Finn said that after winning Sunday's season-opening race in Melbourne, he left the partying to his Lotus crew and flew straight to Kuala Lumpur ahead of this week's Malaysian Grand Prix. "I had a flight in the evening so we just had a quick meeting and I had to go to the hotel to pick up some stuff and go," said Raikkonen, who is nicknamed "Iceman" and is renowned for his love of the high life. "For sure they had some celebrations, it's just one race -- hopefully at the end of the year we can have a good celebration." Raikkonen also said Sunday's win had not changed his preparations for this week's race -- and he denied he was seen as the man to beat at the tropical Sepang circuit near the Malaysian capital. Engagement rings are perfect for a special proposal but they are no longer the most desired item. 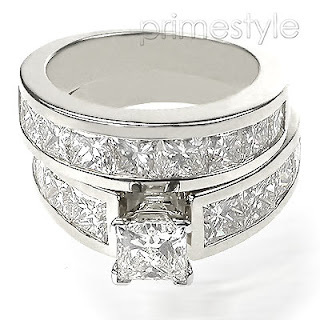 Jewelry sellers, as Prime Style, have created special mixes of engagement rings and wedding bands that create perfect bridal sets for your future wife and will surely weigh less on your credit card. If you want to impress your fiance this is the best way to do it. 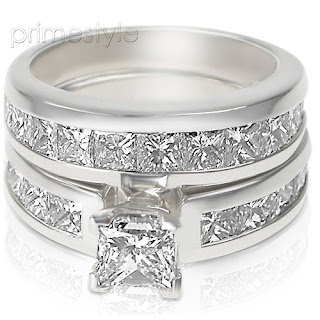 One of the common problems of recent newlyweds is that they can’t get used to their wedding ring and engagement ring. 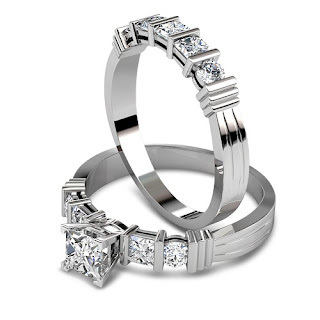 By choosing a bridal set you will solve this problem as the are merge well together. 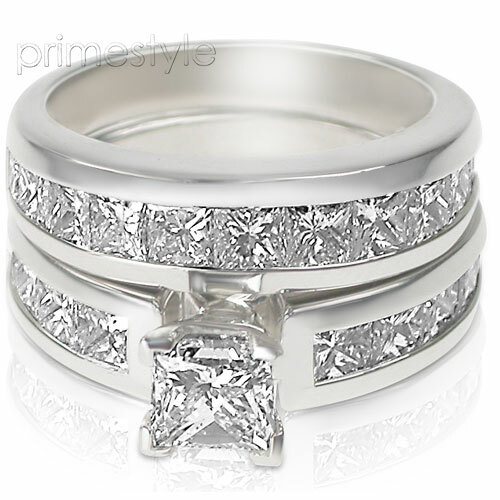 Also keep in mind that a bridal set will match perfectly in color and shape unlike a separate mix. 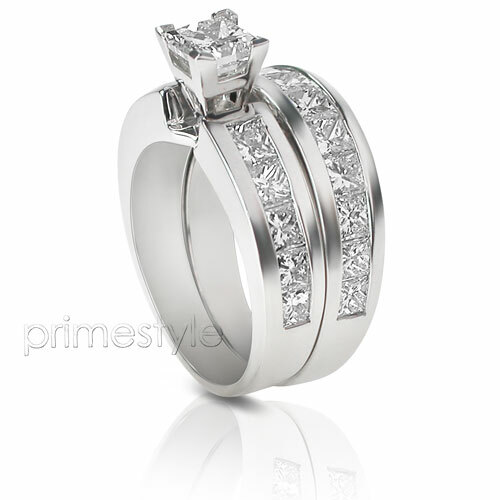 And don’t worry if you want to keep a certain mix you can, at Prime Style you can create your own bridal set. Lotus' Kimi Raikkonen has insisted his new E21 is not too far behind the Red Bulls ahead of the Malaysian Grand Prix this weekend. The Finn found himself well behind Vettel and co after qualification at the Australian Grand Prix last Sunday but did manage to claim the first win of season, despite starting in seventh place on the grid. Raikkonen managed to get the most out his tyres in Melbourne and endured one less pitstop than his competitors before claiming the chequered flag Down Under. The 33-year-old knows his side have some catching up to do in terms of qualification times but following the disruptions to the session last weekend, the Scandinavian does not feel like he is too far behind the likes of Red Bull. He said: "I wouldn't say that the qualifying was a very normal situation with all the weather and [the fact] it got delayed and all that stuff. RAIKKONEN AND LOTUS: TRUE TITLE HOPEFULS? Was the Australian Grand Prix a one-off, or are Kimi Raikkonen and the Lotus E21 credible world championship contenders? That's the question that this weekend's Malaysian Grand Prix will go some way towards answering. In the final reckoning, Raikkonen's victory was relatively straightforward, although perhaps not quite as simple as the man himself suggested after the race. But that doesn't mean that it will be the same again in Malaysia. 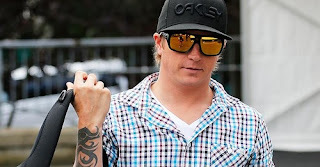 Kimi Raikkonen insists that his victory in last weekend's Australian Grand Prix does not automatically make him the favourite to succeed again, either this weekend or over the course of the 2013 F1 season. Speaking on the eve of round two in Malaysia, the start of which comes just over four days after he crossed the line to take victory for Lotus in Melbourne, the Finn claimed that things remained uncertain in the F1 field, particularly as Sepang represents the toughest test faced by the cars so far this year. “There's no target [on our back],” he maintained, “We won't do anything different this weekend than we did in the previous race - or last year. If people think that we are leaders, it makes no difference to our work, what we did or what we're going to do this weekend or any other weekend. Like I said, we try to do best and hopefully we can score some good points. Although he was able to take a comfortable victory on Sunday, earlier in the day Raikkonen had trailed Sebastian Vettel by over a second in qualifying, but the Finn believes that the real margin is probably closer than that. 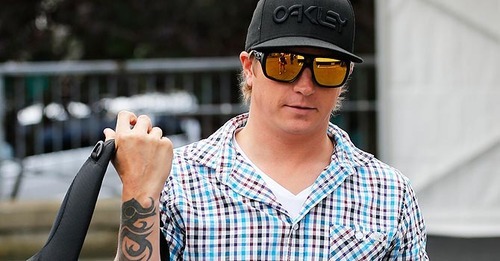 Kimi Raikkonen says there is no added pressure after winning last weekend’s Australian grand prix and arriving at the Malaysian grand prix leading the drivers’ championship. “There’s no target or anything, we don’t do any different things this weekend that we did in any previous race or last year,” Kimi Raikkonen said. “Last year we were pretty good when it was hot and actually it was better for us but obviously we haven’t run in these kind of conditions and the winter was very cold, so I have no idea.